According to Amnesty International, there’s a major issue currently happening and claim that United States President Donald Trump and Philippines President Rodrigo Duterte. The major issue being spoken of is the current situation in the state of Rakhine, where there is an “ethnic cleansing” taking place that is being enforced by the military. 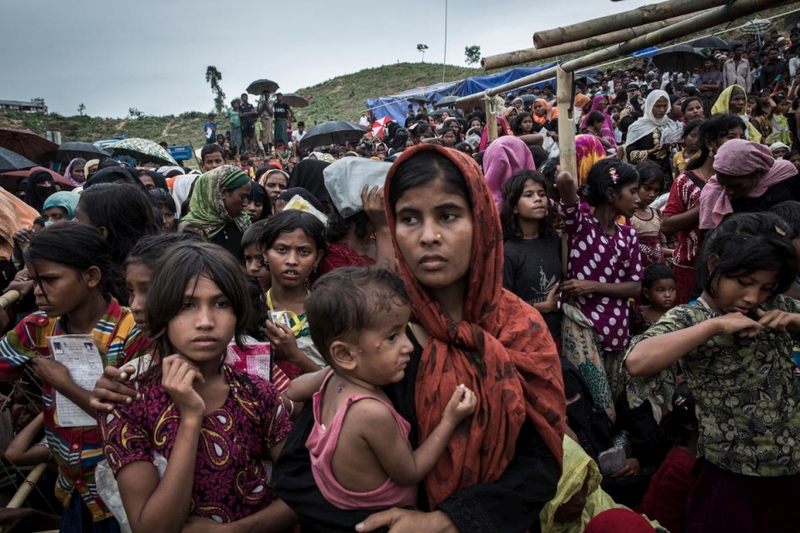 Nearly 690,000 citizens of Rohingya have either fled or have been forced out of the state and left stranded with nowhere to go, a lot of them being stuck between Bangladesh and Myanmar. Amnesty Secretary General Salil Shetty is quoted believing that this violence and hate is “the ultimate consequence of a society encouraged to hate, scapegoat and fear minorities”. Amnesty believes that this is merely one example of the mistreatment and discrimination against people that goes on in our world every day that is encouraged by the biggest authority around us, claiming millions felt this just throughout the year of 2017. Giving another example of the Muslim travel ban set by trump at the beginning of last year, Shetty says that the travel ban “set the scene for a year in which leaders took the politics of hate to its most dangerous conclusion”. He believes the hate is transparent, and very much in effect. Are the world leaders in support of this hate around the world or are they just careless? Amnesty seems to believe that it is a mixture of both, also pointing fingers at Russian leader Vladimir Puton and Chinese President Xi Jinping. In the eyes of them, human rights have gone completely backwards in the United States since the Inauguration of President Donald Trump. They also claim that the rest of the world is following in his footsteps, by doing things wrong in their own countries along with not acting on or caring about large issues in other parts of the world with an example being everything currently happening Syria. “Callousness” is how they describe it. Obviously there are people out there that feel extremely strongly about this, and with good reason to. This is a big issue that may possibly be being overlooked, dehumanisation is not something we as people should not want or encourage so maybe we should look more at it and begin to try to make sure it doesn’t continue.